Conference track contains quite real-case ontologies suitable for ontology mappings task because of their heterogenous character of origin. There are no reference alignments, therefore there are employed methods of a posteriori evaluation. Organisers of this track offer a posteriori evaluation of results in part manually and in part by data-mining techniques. Data-mining techniques can answer questions like (you can find more information about this type of evaluation in . Which systems give higher/lower validity than others to the mappings that are deemed ‘in/correct’? Which systems produce certain types of interwined mappings (so called mapping patterns) more often than others? Which systems are more successful on certain types of ontologies? negative results as useful feedback. Previous conference track was held at OAEI-2006. experience of people with personal participation in conference organisation (indicated in column Type with mark Insider). OpenConf Tool 62 21 24 ALCIO(D) http://www.zakongroup.com/technology/openconf.shtml the 9th of June, 2007. Bad xml:base URI has been repaired. We deeply acknowledge the effort of contributors to the collection: Július Štuller (and his team), Du‘an Rak, Petr Tomá‘ek, Luděk Mácha, Lenka Navrátilová, Pavel Kříž, David Měrka, Roman Svoboda, Miroslav Joha, Tomá‘ Zelinka and Jozef Murín. Ondřej Šváb ( svabo at vse dot cz ) or Vojtěch Svátek ( svatek at vse dot cz ). Final results have been presented at Ontology Matching workshop 2007. So-called 'Consensus building workshop' was on Monday. During presentation, 'controversial' mappings have been argued. Argumentation process is now under processing. Presentation from 'Consensus building workshop' is here. 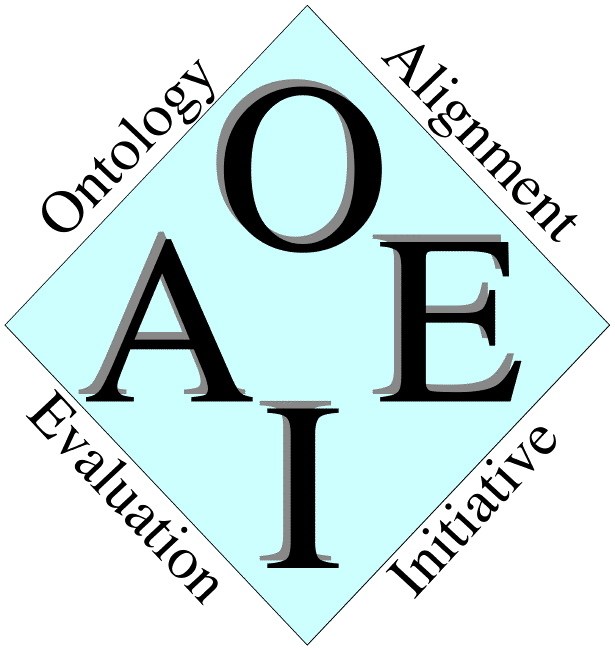 For more information about time-schedule see main page about OAEI-2007. Svab O., Svatek V., Stuckenschmidt H.: A Study in Empirical and ‘Casuistic’ Analysis of Ontology Mapping Results. In: 4th European Semantic Web Conference (ESWC-2007), Innsbruck 2007. Springer LNCS 4519. Abstract Draft paper (final version available via SpringerLink).